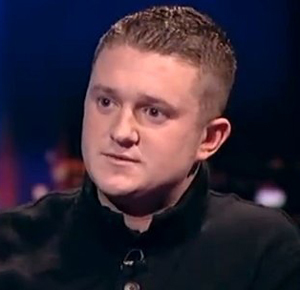 In the interests of balanced reporting, when TNS heard that EDL leader Tommy Robinson had been invited to air his views at the Oxford Union we tweeted him asking for a comment. We didn’t get a comment on the invitation. Instead we found ourselves embroiled in a debate about curry. 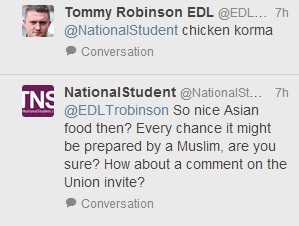 One thing we did find out is that Tommy Robinson loves a good korma. He would also quite like it if TNS took him out for one. We thought the main issue in his life was halting the spread of radical Islam and Sharia in the UK, but it turns out we were wrong. It’s 'lunch' that’s important. We definitely feel that our morning was enlightening. Here is what happened. 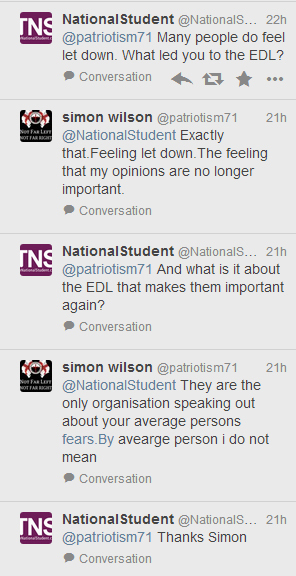 That's not the response we usually get when asking for comment, but it seemed harmless enough so we indulged him. What food would Mr Robinson want? Something really English, right? The man has a point, he does have to eat. But with so little input to the debate we are reluctant to consider giving him a meal ticket. He then goes quiet for a bit. We had lost him, our chance to get an insight into one of the UK's most controversial figures - GONE! We made one last attempt to get him involved - he must want to share his thoughts, he has made a career off his opinions after all. 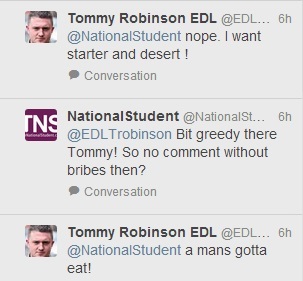 And that was it, Tommy was gone. Realising no food was coming his way from us he must have moved on to search elsewhere. 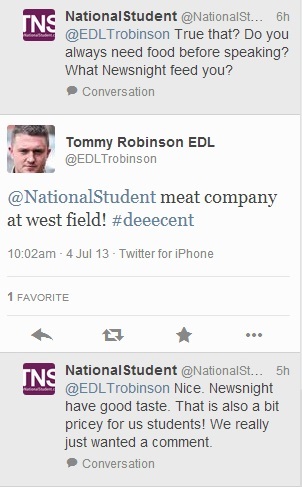 If only we were more like Newsnight. 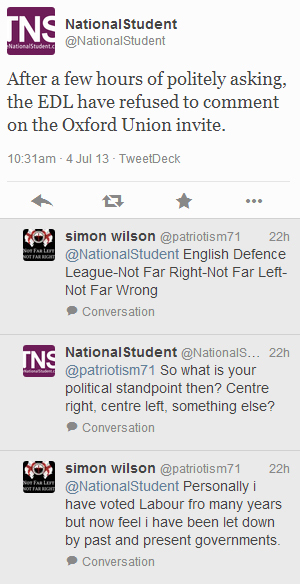 So what did we learn from our brief parlance with the leader of English Defence League? 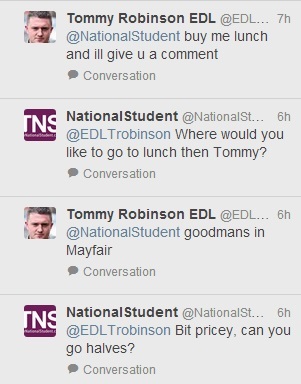 Tommy Robinson likes a curry, likes people to buy him expensive lunches and 'lunch' is more important to him than having his say. 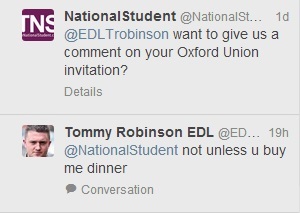 All we know is that if the Oxford Union are to get him to speak, they better put on a nice spread!!! SUPER MEMORIES: A desirable superpower, or weakness?